If you've never been to Aruba, the thing you'll find out very quickly is that the talk at the pool or beach is of Aruba Restaurants. If there's one Aruba restaurant that consistently receives top ratings from customers, it's the Flying Fishbone. It's # 1 attraction - both to tourists and locals alike - is that it serves your meal right on the beach. The Flying Fishbone caters to seafood and meat lovers who like dangling their weary toes on the sand and listen to the romantic splash of the waves. Hours: 7 days a week, 5 am to 10 pm. On the menu: cold and warm appetizers ($12 to 24), soups ($8-$10), seafood ($30-$40), meats ($30-$40) and dessert. Marandi - gets a high rating for ambiance (it serves meals in an open air palapa hut) and food. Tourists have sang high praises for it and friends tell friends who tell their friends. It may be a little hefty to get there via cab, but they say it's well worth it. Not only do you get atmosphere and great food, but courteous service by restaurant staff. On the menu: cold and warm appetizers ($13-$14), soups and salads ($7-$15), meats ($27-$40), seafood ($27-$45), desserts ($7-$12). People who posted their reviews online strongly recommend Marandi. One reviewer said, "We went to Marandi twice on our recent trip to the island, after discovering this hidden gem last year. We love this restaurant. You can't beat the view, and the service and the food are excellent." Passions on the Beach - the name alone should be a lure to anyone who seeks food and romance, but it's great for singles too who'll love the soft lights coming from torches planted on the sand. A perfect place to enjoy the perfect sunset. Hours: daily, 6:00 pm to 10:00 pm. On the menu: appetizers and salads ($6-$15), seafood and meats ($20-$38), desserts ($6-$15). Even the old reliable Dunkin Donuts is in Aruba. Cook's - great for couples, families and vegetarians, excellent wine list, convenient Oranjestad location (at Wilhelminastraat). Call +297 588 4296. Madame Janette - if you're looking for authentic Aruban cuisine, Madame Janette has rated well for romantic dining, but did not receive high ratings for families with young children or persons with disabilities. Food and ambiance are good as gold. Call 297 587 0184. Cafe Rembrandt - serves Dutch cuisine and rates well for singles, couples, families, vegetarians and large groups. It's right on Palm Beach. Call +297 586 4747. Papillon - the restaurant for loyal French food lovers. It's located at E. Irausquin Blvd. 348A in Palm Beach, across from the Radisson Hotel. A "must eat there" restaurant as one reviewer posted online. Call 586 54 00 (reservations recommended). You have the usual items of appetizers, salads, main dishes and for a French upscale restaurant, prices are not outrageously expensive. There are so may restaurants to choose in Aruba that it makes it difficult. 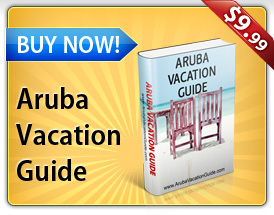 Know you understand why the talk on the beach is all about Aruba restaurants.